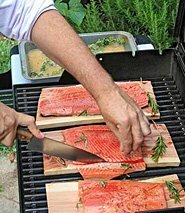 Cedar Plank Salmon is the art of roasting salmon on wood planks. 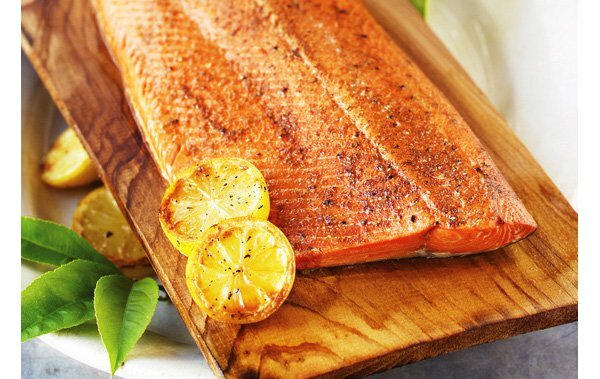 Our Alaska cedar planks have been specially prepared for safely cooking fish. Be careful to never use lumber grade planks from your local home center or hardware store. They contain chemical preservatives.